Swedish Punsch (not to be confused with punch) is also known as Arrack Punsch, Caloric Punch, Punssi in Finnish, and simply as Punsch. 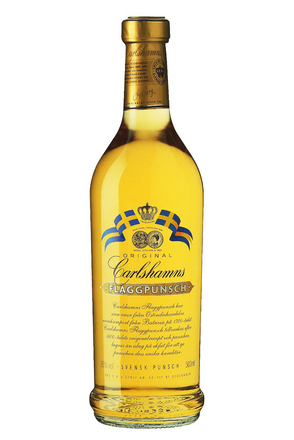 Based on Batavia arrack, it is a style of liqueur popular in Sweden and other Nordic countries (Norwegian Punsch was also produced by the state-owned monopoly), with a strength ranging from 27% - 50% alc./vol. Punch made with spirit, water, sugar, citrus and spice, and served in large sharing bowls was a popular drink throughout Europe in the 18th century, having first been introduced to Britain in the late 17th century. In England punch was made with cognac, or rum, or whisk(e)y, or arrack, or a combination of these spirits, but in Sweden and Finland arrack became the preferential base, as did the spelling with an 's' - punsch rather than punch. Arrack was introduced to Sweden by the East Indian Company in 1773, when Batavia arrack was imported for the first time from Java and with it came 'punsch', made immediately before it was to be served warm in punchbowls. Hot water was poured over a sugarloaf in a punchbowl, then arrack, German Rhine wine and spices added. The warm punsch was then drink in cups. The bottled liqueur version still popular today originated in 1845 when a wine importing company, J. Cederlunds Söner, started selling pre-mixed bottled punsch. Other brands quickly followed and it became more common to enjoy punsch served cold as a liqueur - particularly as a digestive with coffee. To make Swedish Punsch, mix arrack with white rum (or vodka), sweeten with sugar syrup and flavour with lemon zest and nutmeg (some recipes also call for cardamom and cinnamon). Swedish Punsch has a pungent aroma and a very distinctive flavour. 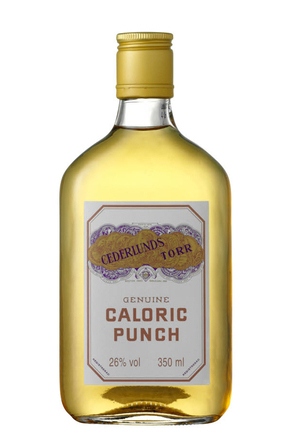 It is a very versatile cocktail ingredient - evident from the number of cocktails calling for Swedish Punsch.